It’s hard to find motorcycles or motorcycle types that works (well) for everything. August this year the solution to the challenge presented itself in a beneficial way. 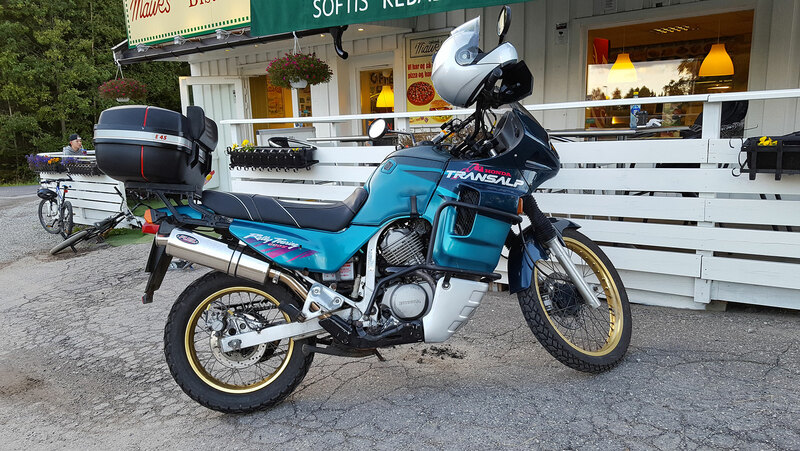 Late August I got this Honda XL600v Transalp 1994 model. I’ll come to that but first…. The Adventure segment is completely dominating the motorcycle market today. Reason simply being, demand. More and more people want to be able to go anywhere, travel near or far, comfortably. 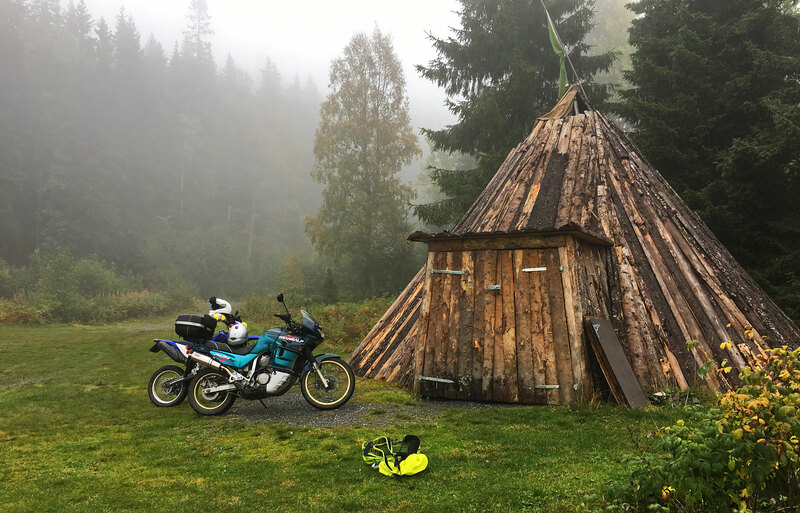 Adventure bikes are the SUVs on two wheels, enabling you to ride on freeways, small roads, gravel, dirt, rocks, under sometimes demanding conditions. If you try to over-extend capabilities you may quickly find yourself in difficult or challenging situations. I know, because I’ve done it, more than once. And regretted it, more than once. You focus on staying upright, go very slow and avoid major SNAFUs. 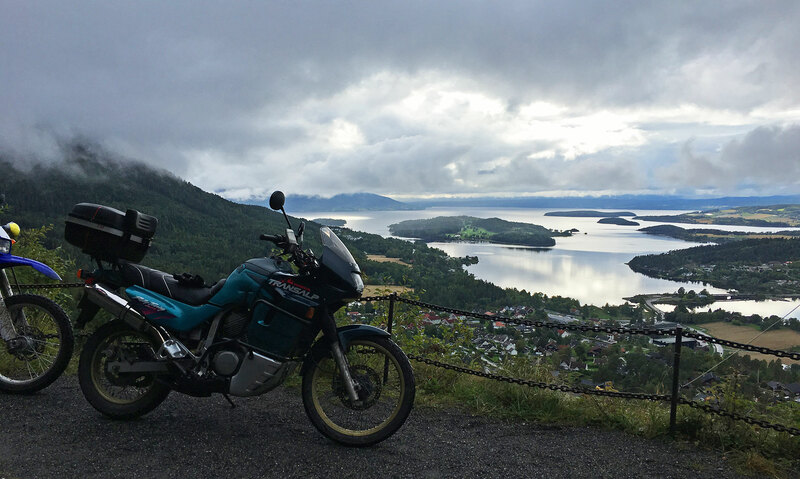 Try riding a touring bike on (demanding) gravel, dirt, on rocky, eroded roads/tracks through wilderness . Then the full spectrum of limitations quickly become rather obvious. Like in the below scenario. Certainly not where this machine excels. 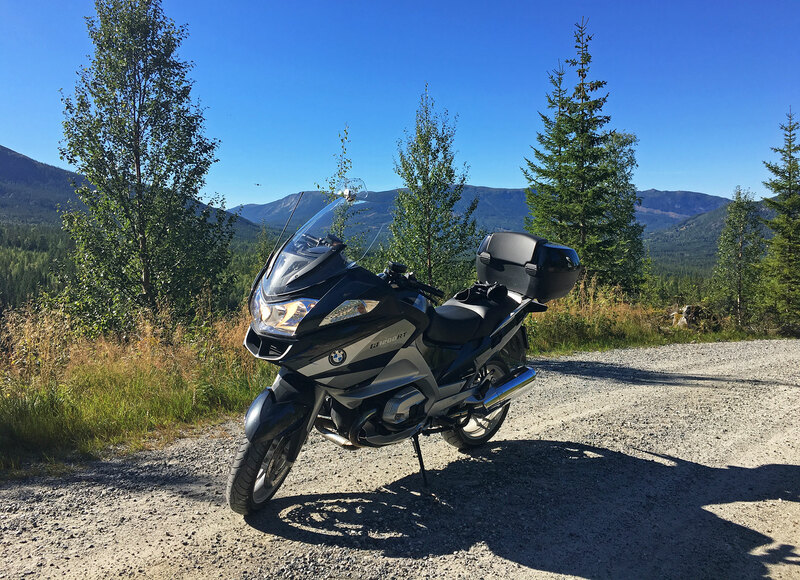 My previous MC, a BMW R1200RT on the nicer part of this journey. It sort of worked but was a rather stressful experience at times. But weather, nature, still made it quite an adventure. 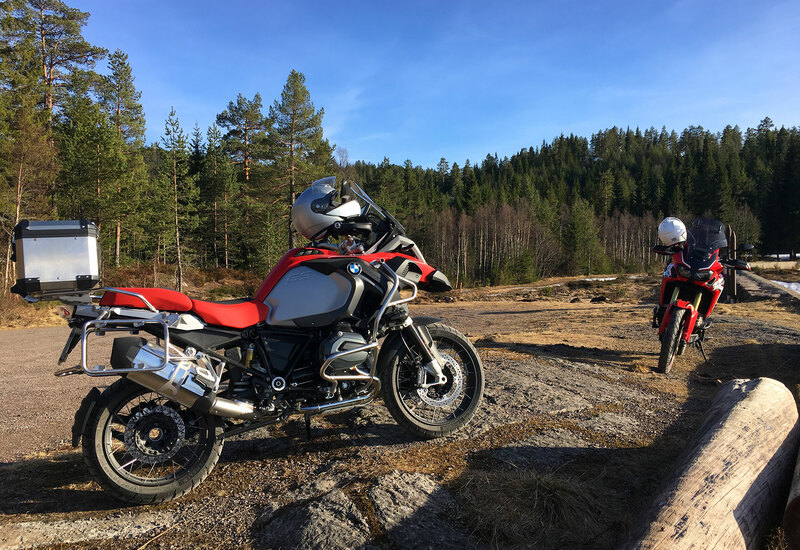 However, this machine, being one of the better, more agile and flexible touring machines you can buy, isn’t very good at this kind of riding. The BMW R1200RT here parked VERY off-road. Hence, with the above as part what i fancy, a change was obvious. 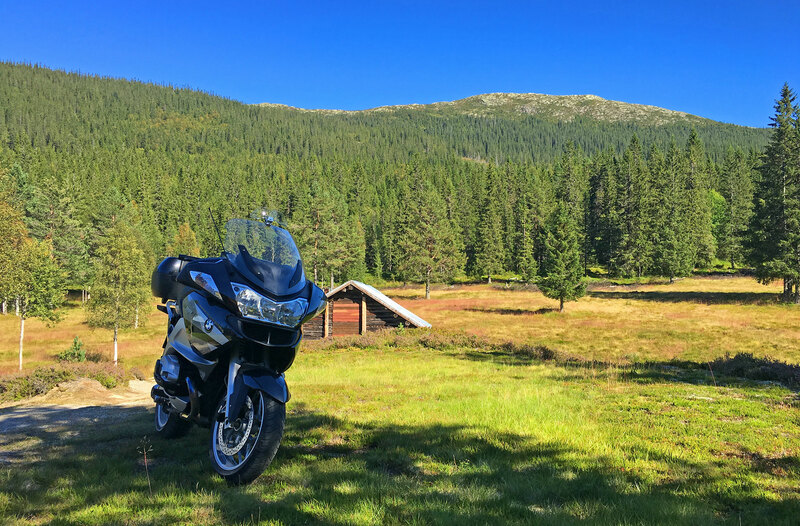 My current main horse, a BMW R1200GS Adventure is one of the very best in the Adventure segment. And, right now, the best solution I could ever wish for. Goes anywhere (almost), does everything (again.. almost) with ease, comfort, in a non-stressful way. Where this motorcycle cannot go I would not go either. and comes with a big price tag. Mishaps might carry a big price tags as well. Plus of course, your “exploration & adventure department” will be decommissioned for some time. If in need of complex repairs, as a direct result of maybe being a tad too adventurous. What you practice with, and as much on, will affect the learning curve. And, should “challenges” appear, potentially the costs too. I’ve had a few lessons, fortunately under beneficial or ideal circumstances. Situations that did not produce any drama, but was food for thought. BMW Motorrad can perhaps claim they defined the modern, adventure motorcycle segment. 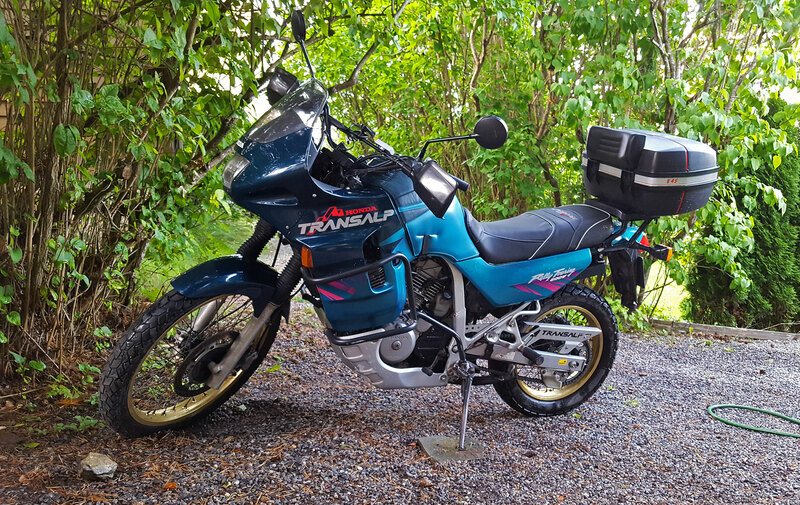 Honda was among the first with a range of adventure style motorcycles back in early/mid 80s. The XL models, TransAlp and AfricaTwin made their debuts. Flexible, agile, reasonably light, ample power and rock solid engineering, especially the engines. Since already owning a big adventure machine I wanted something smaller, lighter, good for various tasks. TransAlp singled itself out model-wise. One day in late August, hey presto! I had been searching the market for some time. Several candidates surfaced , either with no mileage in the ad, or more expensive than what I’d set as my limit. Then one day a 1994 XL600V (600cc) appeared, with pretty high mileage but looked good. If well kept these machines can run for half an eternity. So I went to look at it with a competent friend. The candidate had only two owners in its history, last had it for nearly 14. He came across a reliable, trustworthy person. His Alp was well maintained, lots of wear parts had been changed. The engine sounded great, the bike looked good for being 23 yrs old. High mileage isn’t necessarily a problem, many mechanics have told me people have a tendency to over-focus on this. After a test ride we made a deal. And I rode home, through what turned out to be one heck of a rainstorm! But, I made it safely home, thanks to good riding gear at least not wet to the bone! indeed, both me and my riding companions agrees. It’s an impressive piece of motorcycle engineering. Easy to handle, surprisingly agile, strong engine with plenty of grunt in lower rpm. Well balanced, not too heavy, mechanically solid, electrically simple. Parts and replacements in plenty on ebay and elsewhere. We quickly made friends and now I am looking forward to many adventures! This entry was posted in MC related, miscellaneous, MC rides, trips & adventures and tagged Adventure, Improvements, MC related, Nature, Performance. Bookmark the permalink.